Join the Democratic Women of Craven County for their monthly meeting! 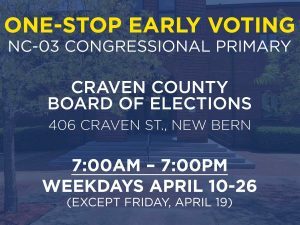 We’ll be talking about how we can best spread the Democratic message throughout Craven County! For more details, visit the DWCC website or email DWCC president Barbara Harrison.